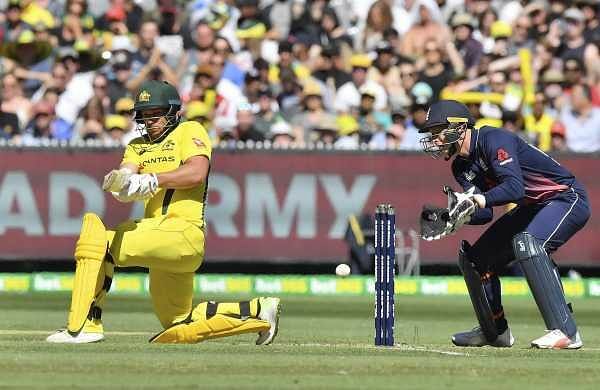 New Indian Express – LONDON: Australia’s Aaron Finch made an unbeaten 131, the highest score by a Surrey batsman in a Twenty20 match, as his side ended Sussex’s unbeaten start to English cricket’s Blast tournament with a 52-run win at Hove on Friday. LONDON: Australia’s Aaron Finch made an unbeaten 131, the highest score by a Surrey batsman in a Twenty20 match, as his side ended Sussex’s unbeaten start to English cricket’s Blast tournament with a 52-run win at Hove on Friday. But it might have been a different story for the Australia Twenty20 captain had he not been dropped on just one by Sussex paceman Jofra Archer. Finch then made Sussex, coached by former Australia fast bowler Jason Gillespie, pay with a blistering 79-ball innings including 10 fours and seven sixes as visitors Surrey piled up 192 for three. Archer is a fine fielder, particularly off his own bowling, so it was a shock when he dropped a gentle return catch after Finch pushed forward uncertainly to the first ball of the second over. Finch was not in a mood to give a second chance, with even Afghanistan leg-spinner Rashid Khan, the world’s top-ranked T20 bowler, unable to escape punishment as the Australian hit him for two fours and two sixes. Sri Lanka v England: fifth ODI – live!